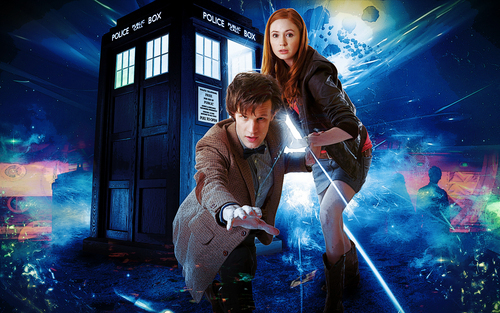 壁纸. . HD Wallpaper and background images in the 神秘博士 club tagged: doctor who series 5 amy pond eleventh matt smith karen gillan.
" Anywhere 你 want, any time 你 want. " nice, but umm...what happened to Amy's hand?